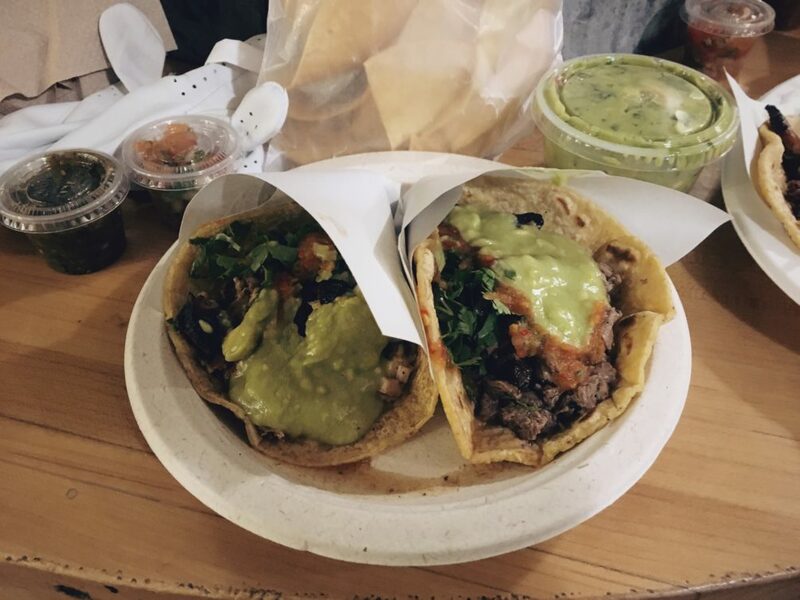 Everyone likes to bash Mexican food in NYC, but you can actually get very good tacos at the Los Tacos No. 1 stand in Chelsea Market. That, of course, involves having to be at Chelsea Market and shoving elbows with the tourists for space and seating. And speaking of which, there really are no seats at Los Tacos No. 1, so you have to make do with the standing booths that are scattered throughout the market. 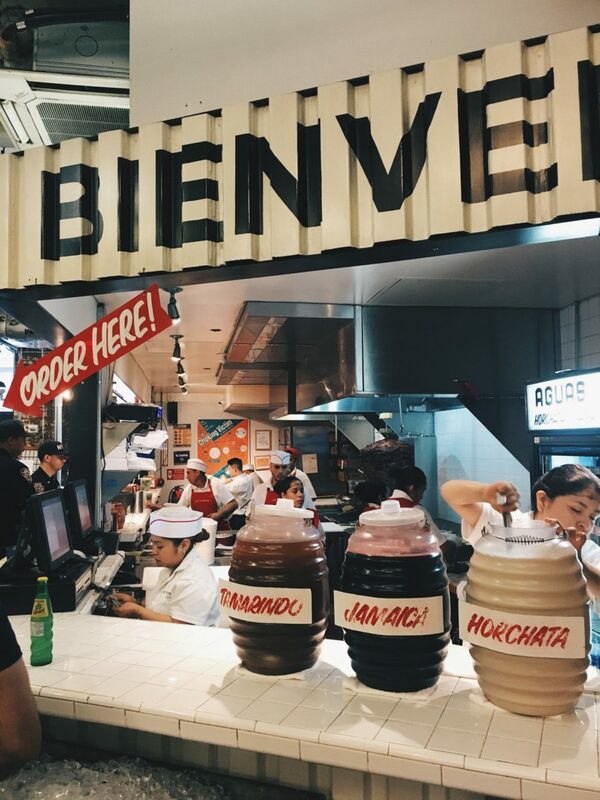 It’s not going to be a comfortable experience, but the spectacular adobada marinated pork tacos will make you feel better about dealing with the chaos. 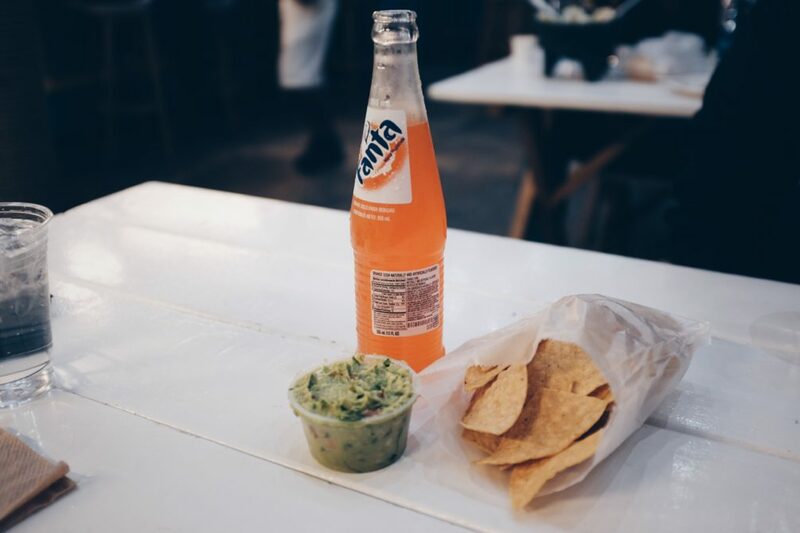 Everyone likes to pair their tacos with guac and chips, and while the guac at Los Tacos No. 1 is very good, the chips aren’t hot and fresh. But if you do want a seat and more civilized dining conditions, then you might be better off going to Los Tacos No. 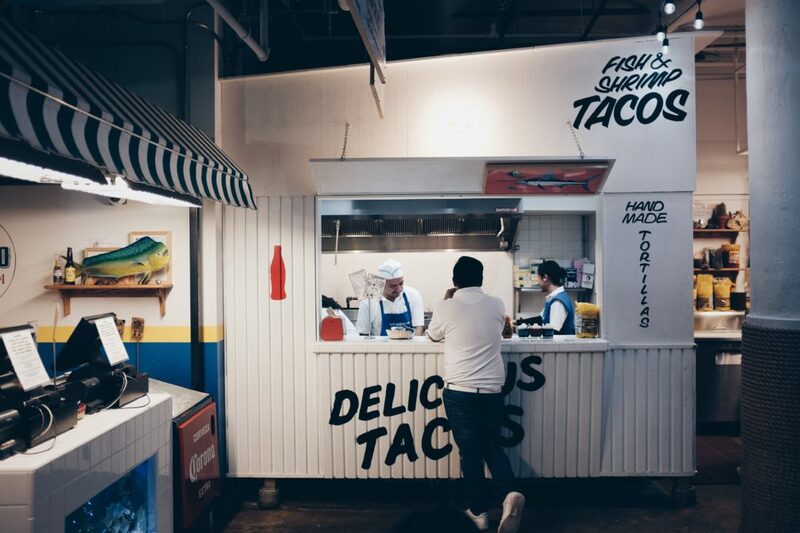 1’s sister restaurant Los Mariscos, which is also located in Chelsea Market. The focus here is on seafood, so the menu consists of fish or shrimp tacos, ceviches, seafood cocktails and fresh oysters and clams. 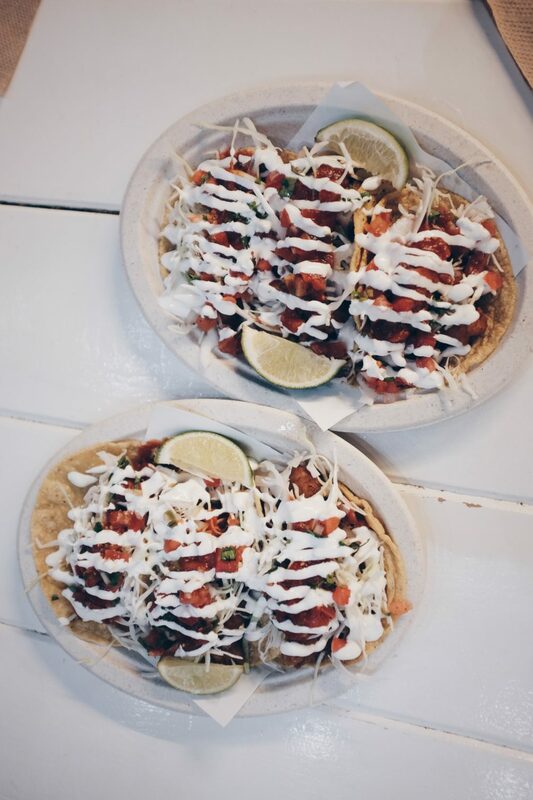 The tacos, as expected, are excellent, particularly the fish tacos, in which the fish are crispy and batter-fried and come dressed in an amazing cream sauce. The enchilado or spicy chrimp taco almost have too much sauce and the flavor of the seafood gets drowned out. The guac situation is obviously similar here. I wish the chips were fresh out of the fryer, but at least I can sit down eating them.